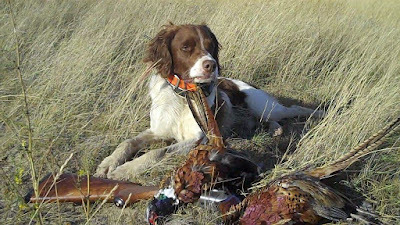 A Bird Hunter's Thoughts: How do you relate to your dogs? What my dog means to me. 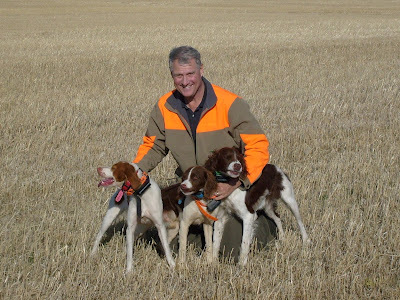 I never considered I would be stumped by a question about how I felt about my bird dogs! I pondered a bit, then considered some, and slid easily into some contemplation, but I couldn’t get a handle on “what my dog means to me”! My friend said I taught him about the “Zen of bird hunting”. He said I taught him to focus on the immediate, the dog, the location, the track, the plan- but mainly the dog. If my life is a bullseye, when I'm hunting, the 10 Ring is me and my dog. Everything else is less. Ace and me. Agape love.